Other name: Col de monte. Papauyelo is a native of Colombia. It is also found in Ecuador. 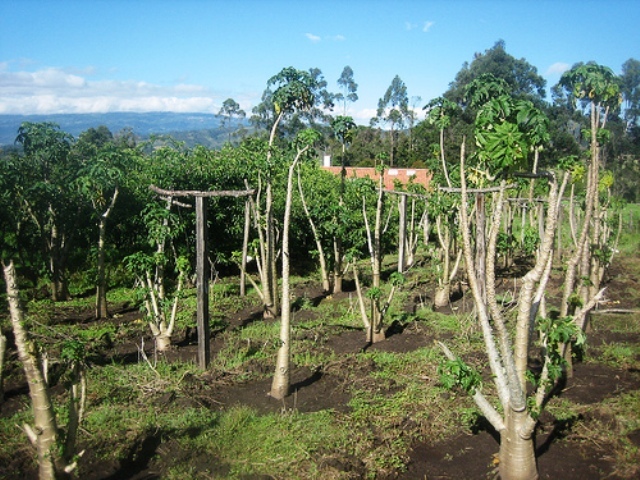 The plant occurs in humid forests between 1500-2300 m elevations. It can, however, tolerate some dryness. A small upright tree, but sometimes growing upto 8 m; trunk gray, often branching at the base, female and male flowers mostly on the same tree; flowers intensely red or purple with red or green petioles. The fruits are usually five angled, pale yellow, with occasional shades of purple, red or orange. Thy grow upto 20 cm and weigh upto 200 g each. 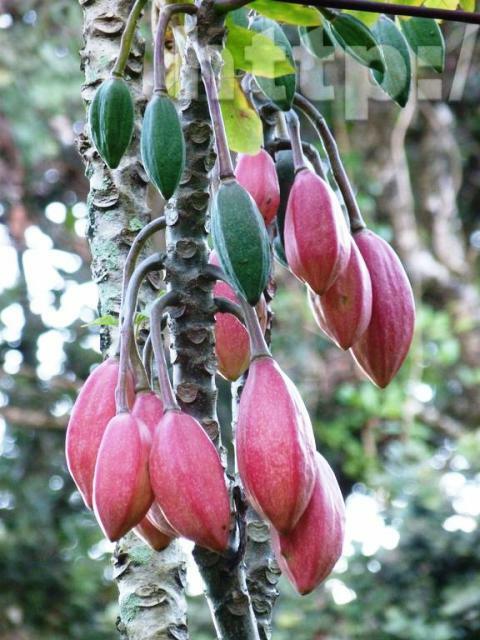 The fruits are eaten and also used for making juice, jam and jelly. The fruits transport very well if harvested slightly before full maturity. This fruit deserves to be promoted as a new crop. There is, however, one feature of this fruit. The fruits are highly variable in quality. Some are quite sweet with an attractive taste like apples. Others are astringent and barely edible. So care has to be taken while selecting plant material.